C'mon Nancy, are you really going to go there? How could you stoop so low? Haven't you the slightest bit of compassion for murdered Kate Steinle and her grieving family? Must scoring political points even trump American lives? For my relatives who only get mainstream media spin, here is what's really going on. An illegal alien shot and killed complete stranger, 32 year old Kate Steinle, while enjoying strolling with her dad along a San Francisco pier. Kate's scumbag murderer had been convicted of 7 felonies and deported five times. And yet, this criminal kept returning to the US without consequence. 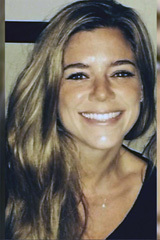 While the coddling of criminal illegals has been going on for many years, Kate's senseless murder was the straw that broke the camel's back in the hearts and minds of many Americans. In a nutshell, Kate's Law says when these deported illegal criminals get caught sneaking back into the US, they get a mandatory five years in jail. Politicians/officials who disobey this law also go to jail. Makes sense? Of course. Will Kate's Law save Americans lives? Absolutely. Like the wicked witch of the east (or was it the west), Democrat Nancy Pelosi enters the conversation. Rather than compassionately expressing reservations about Kate's Law for whatever reasons, Pelosi attacked it. Here's the deal folks. Donald Trump is polling high in his bid for the WH by addressing illegal immigration. Pelosi and her fellow Democrats want to protect their illegal-immigrant-future-voters-scheme. So, in typical Democrat fashion, Pelosi and her MSM partners are trying to brand Trump a racist and hater for simply talking about illegal immigration. Really, Nancy? Have you no shame? In the Democratic Party, Pelosi's win-the-issue-at-any-and-all cost mindset is the norm. This is why it drives me nuts that Democrats get such high marks for their faux compassion. Even media typically supportive of Democrats was a bit taken a back when Democrat Senate Majority leader Harry Reid said he would not allow a vote to ensure that kids with cancer would get their meds during a budget debate. http://fxn.ws/1FIjZe9 As cold and unbelievable as this sounds, Reid obviously considered the kids' lives acceptable sacrifices in his quest to beat the Republicans. Emails later revealed that Hillary, Obama and other Administration officials knew the attack had nothing to do with a video. http://bit.ly/1g9zW2d The attack on our consulate happened 9-11-2012. It was election time folks. Obama and his minions were out there telling the American people that terrorism was no longer a threat. So when our Benghazi Ambassador Stevens anticipated an attack due to the anniversary of 9/11, he pleaded for extra security. His request was denied. Ambassador Stevens, Pat Smith's son Sean and two other Americans were killed in the Islamic terrorist attack. Those guys were sitting ducks folks. Sitting ducks. And yet, the mainstream media continues to hide these truths about the Democrats, awarding them gold stars for compassion. So Nancy Pelosi taking the below-the-gutter low road while claiming the high road regarding Kate's Law is par for the Democrat course. My prayer is that we cease allowing them to get away with it. Kate's Law is a very, very, very good thing.